I have been noodling on the idea of Brigadoon for over a decade but didn't formally launch the effort until 2013. Like most entrepreneurs, I was worried too much about the perfect for far too long until one Thanksgiving weekend I knew it was time to plant the flag and make it happen. Sure the business model was weak, the unit economics not well developed - heck the project still makes little business sense on paper. Any first year MBA student would tell me to go back to the classroom. But ideas can be so sound that the best classroom is the marketplace. You really won't know what you got until you engage customers, make a sale, tell the market: "I made this. What do you think?" I knew two things: One, I wanted to create a global community where creative, curious, and compelling entrepreneurs and thought leaders could gather in relaxed and tech-free environments as a means to bringing together diverse talents to exchange insights and drive creativity. Two, there had to be others in my network that were looking for the same thing. Without a massive benefactor that stacked me with piles of cash and infrastructure, I moved forward as a boot-strapping, take it to the street entrepreneur. As planned Brigadoon had to grow organically as an opt-in, word of mouth community of leaders looking to learn from others to create a foundation of individuals committed to public service, solving problems, and building businesses. No fancy ad campaigns harnessing the latest buzzworthy tactics. No blowout parties at SXSW. No paid endorsements leveraging the cool kids on Instagram. Old school think big, but act small marketing. All Brigadoon events are more retreat and less conference, where gatherings and conversations are under Chatham House rules. And most critically, no powerpoints and audio/visual equipment are permitted at our events. Brigadoon is all about having ambitious conversations without technology being a distraction. So far the idea has worked. At the end of the week, Brigadoon will host its sixth gathering at Sundance Mountain Resort in Utah and nearly 200 people from a cross-section of industries and skill-sets have participated over the years. At its core, Brigadoon has successfully been able to maintain its focus on bringing a special, global network together in unique settings that intellectually and physically challenge all participants. To bring more value to all participants and instill more beneficence to Brigadoon's offerings, today I am excited to announce Brigadoon Professional, tools to help you upgrade your competitive advantage in the fast-changing global business environment. 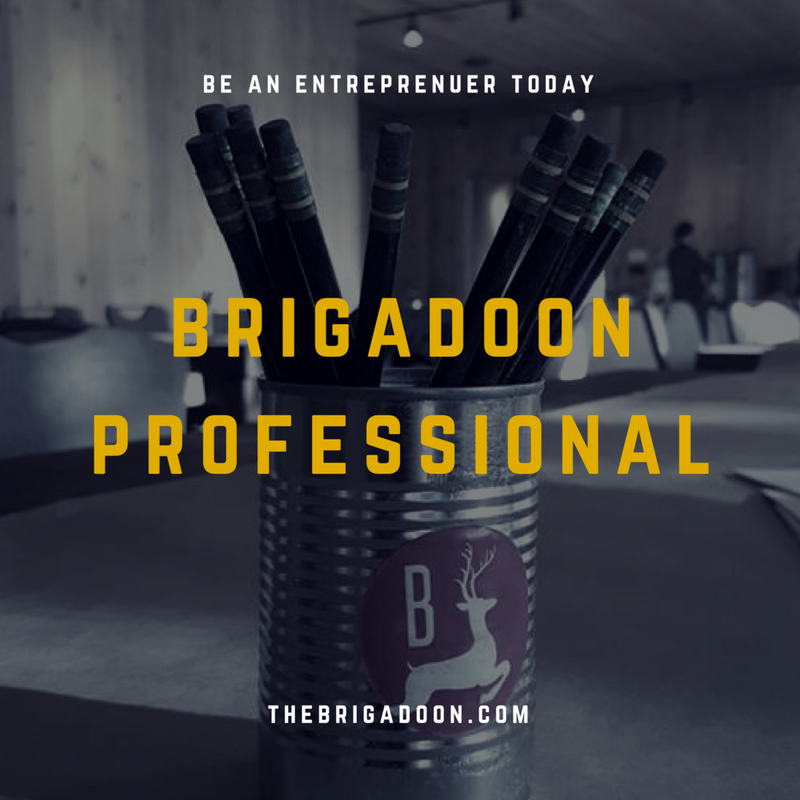 Brigadoon Professional will provide resources, education, and experiences to drive new connections that will help you succeed and reach your full potential. You can learn more about the new project here: http://thebrigadoon.com/professional/. Once again, I am taking an idea to the streets and moving more on instinct then well-researched analysis. Just like Brigadoon's first years, this new offering will only be successful with slow growth and listening to users on what they need to master leadership, performance, and creativity. Marc A. Ross is the founder of Brigadoon and specializes in global communications and thought leader management at the intersection of politics, policy, and profits.